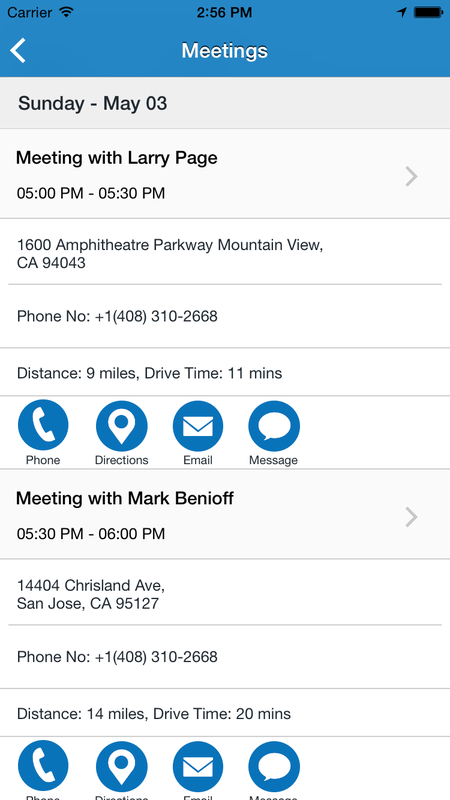 Veloxy | Salesforce Mobile CRM | A 21st Century Sales Productivity App. Close More Deals in Less Time! A 21st Century Sales Productivity App. Close More Deals in Less Time! Why CRM adoption is so low? According to studies by Gartner Group, the worldwide Customer Relationship Management (CRM) market grew 13.7% from $18B in 2012 to $20.4B in 2013 and is projected to be worth $26.5B by 2017 (Source). However, research has also shown that CRM adoption is less than 50%. That means ~$10 Billion worth of CRM investments in 2013 alone faces a questionable outcome. What’s more startling is the fact that sales people often spend less than 35 percent of their time in selling. Companies using CRM software had 17% more revenue. Traditional CRM is a repository of sales data and it can organize the sales process but it doesn’t necessarily accelerate the sales process. Sales reps are really busy. One of their main goals (heck, it is their only goal!) is to sell and close more deals. Their compensation depends on how much they sell. One of the biggest issues sales reps are having with CRM is that it takes too much time. Why is it like that? Isn’t most CRM systems designed specifically to help sales reps make more sales. Here is the sad truth. Most of the CRM systems are built for sales executives and managements who make purchasing decision. They are not built for sales reps. These CRM systems have fancy dashboards, charts and KPIs. However, if sales reps are not entering data into these CRM systems (because it’s a major pain), all these dashboards and charts will be empty. How do you ensure that sales reps enter data (correct data, not junk) into the CRM system? One option is to give the reps some incentive to go through this painful process of data entry. This is not a sustainable option. Other option is to build the next generation CRM system that is built for sales reps. Of course it needs to have all those so called fancy charts and dashboards for sales executives and managements. When sales reps spend time X to enter data into a CRM system, they should get 5-10X worth of benefit from the CRM system or the system as a whole. What does that mean? The next generation CRM system should be more than a CRM system, it should be a Customer360 system. It should be a system that integrates information from CRM system, emails, calendars, tasks, notes, product issue system, bug tracking system, document management system, marketing system and more. This uber system should be able to send contextual and intelligent alerts/notifications to the users (sales reps, sales executives, etc.) when they need it. Sales reps should be able to find all relevant information about a customer, an account or a deal from this one system. They shouldn’t have to log in to many different systems to search and gather information which is a significant wastage of time. Above all, they should be able to do all of these things while they are on the road using their smartphone or wearable like smart watch. This next generation CRM system should automate as many things as possible for sales reps so that they can spend more time selling. Despite the low rate of adoption, about 70-80 percent of businesses will keep using their existing CRM. This is because there are no 10X better alternatives out there. It is also because they already spent a lot of money in their existing CRM. While CRM has done a fairly good job in offering a location for customer data, the data needs some context, which many CRM systems don’t offer. Also, CRM system is just one of the sources of information. Equally valuable information is scattered across many other systems. In order to improve CRM adoption among sales reps, it is absolutely critical to do information aggregation, synthesis, enrichment, and contextualization. Equally important is the simple yet elegant presentation and ability of manipulation of the information via mobile and wearable devices. You have been using CRM system for a long time. How has the experience been so far? Not great, especially when you are on the road, right? A CRM system can be very useful to sales executives and management team for sales forecasting. However, unless sales people enters data into the CRM system, there will be not enough data for sales forecasting. So far there are no CRM systems out there that are designed and built for individual sales reps. Design goal of all CRM systems is data collection, not data intelligence. They are designed for enterprises. This is the main reason why sales people are not motivated to use any CRM system. Sales people are extremely busy. They have to sell, close deals, to get compensated. They were nagged by their managers to update the CRM system. They are stuck between a rock and a hard place. What do they do? Do they sell or update CRM? Good News! You can do both – sell as well as update your CRM system. You can update Opportunities/Deals using Apple Watch while on the go. It’s extremely easy and fast, just few taps. You can see these steps in this video. Any sales people who has a Salesforce account can use Veloxy Mobile CRM and see how easy it is to update opportunities while they are on the road. If you don’t have an Apple Watch yet, no problem. You can use Veloxy Mobile CRM with your iPhone and iPad. Just download Veloxy from App Store and start using it. 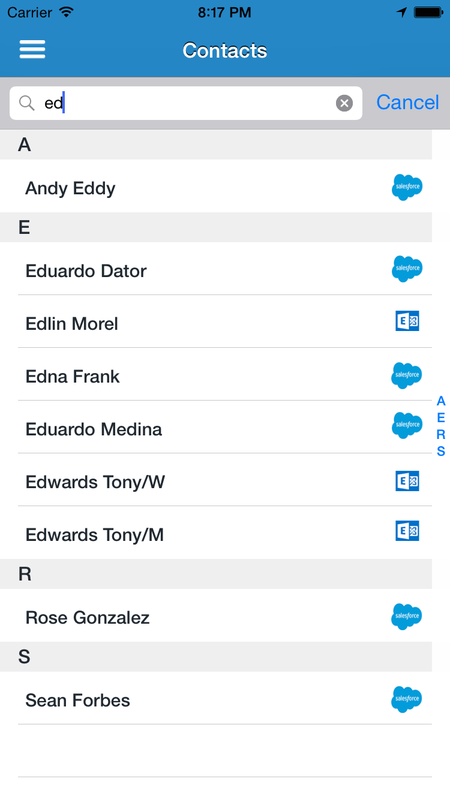 Veloxy Mobile CRM is also available at Salesforce AppExchange. We would love to hear your feedback about Veloxy Mobile CRM. What do you think about Amazon Buying Salesforce? There are some speculations that Amazon (NASDAQ: AMZN) might purchase Salesforce (NYSE: CRM). Other companies that might be interested in Salesforce are SAP (NYSE: SAP), Microsoft (NASDAQ: MSFT), International Business Machines Corp. (NYSE: IBM) and Apple Inc. (NASDAQ: AAPL). However, all of them have dismissed these speculations. What do you think? However, they are laser focused on productivity, results and outcome. At the end, it is all about selling, closing deals, making customers happy, knowing their customers and exceeding their quarterly/yearly targets. Traditional CRM systems are not helping sales people closing more deals.While CRM systems provide visibility into opportunities/deals and the customer life cycle (only if sales people updates CRM systems with relevant information), sales people often regard them as hurdles to productivity and active selling time. This makes CRM adoption very poor. CRM system is only one of the sources of information. Valuable information about deals and customers are scattered around in emails, calendars, documents, etc. Bug Tracking systems and Product/Customer Issue Systems also have very useful information. Sales people needs to have all these information at their finger tip whenever and where ever they need it. While they are on the go, they should be able to access all relevant information about a deal or a customer or an account very easily/quickly via the device they carry all the time – their smartphone and smart watch. They should not have to log-in to many different systems and dig around for information. This is very frustrating and significant wastage of their very vauable time. There should be a system/solution that helps them in selling. In 21st century it’s not acceptable. It should anticipate their need. How about a poll? Feel free to pass this along. We will also appreciate your sharing this poll with others via social media. Veloxy syncs your contacts from Salesforce, Google, Exchange and your local iPhone. It presents all aggregated contacts in one screen. To search through the list of contacts and to locate any specific person you can search using the search bar on the top of the contact list. Clicking on a contact will open the contact details screen. The contact details screen lists phone number(s) and email associated with the contact. You can directly call or send a text message from the contact details screen. The details screen also logs the calls made to this contact by you. Veloxy automatically logs time and duration of each call. The associated Salesforce account information is displayed in the contact details screen. Check out our website as well as Apple App Store and Salesforce AppExchange. Veloxy is Completely FREE. Veloxy syncs meetings from all your connected accounts and displays them in the Meetings screen. In Veloxy if you have connected your Google calendar, Exchange calendar and iPhone calendar, the Meetings screen will show a consolidated list of meeting from all these sources. Using proprietary technology Veloxy extracts phone number, conference code and location from different meeting fields including meeting description. You don’t have to look around and type in the phone number and conference code anymore to join a conference call. Just tap the phone icon and you are automatically connected to the call. Tapping on the directions button should give directions to your meeting destination from your current location. Veloxy displays the time it’ll take to reach your meeting destination. Veloxy also alerts you in case you are running late for a meeting. Running late for a meeting? No problem. 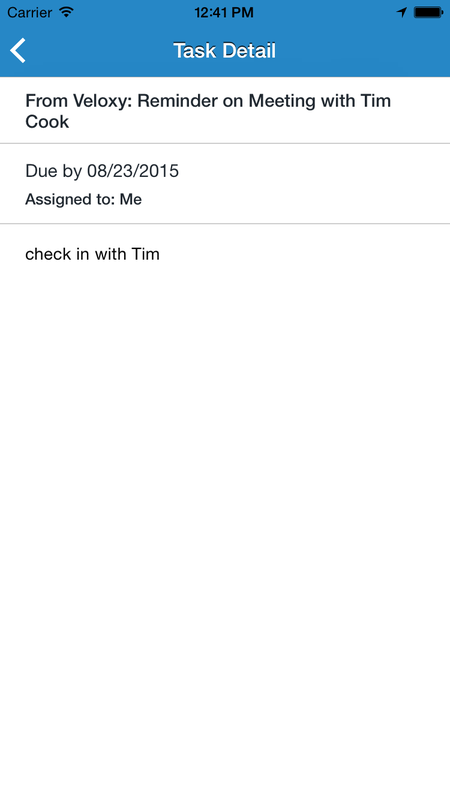 You can send a quick email or text message to the meeting organizer by tapping on the email or the message icon. Tapping on the meeting summary opens up the detail view of the meeting. The detail view includes information about the organizer, attendees and description of the meeting. Veloxy automatically tries to assign a relevant opportunity to a meeting. User can optionally associate an opportunity to a meeting. Log-A-Call: Once the meeting is completed you can log notes about the meeting. When you tap on the “Log a Call” section, it opens up the “Log a Call” screen where you can change the opportunity details and save it along with meeting notes. You can also create a follow up task for the opportunity from this screen. 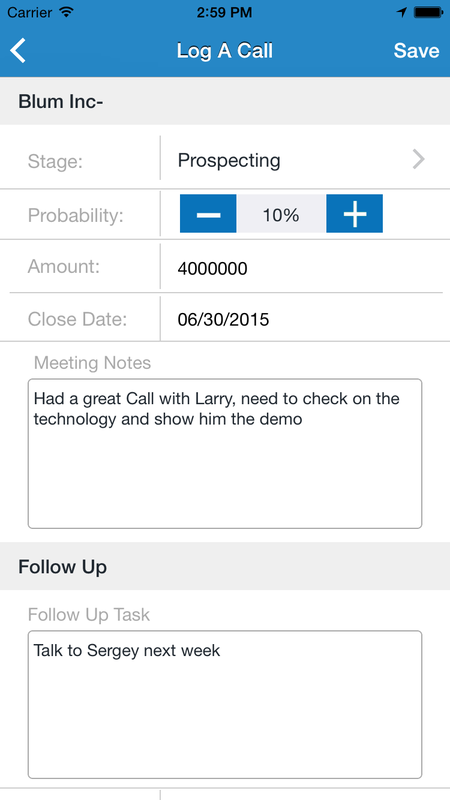 All updates to the opportunity, notes and follow up task will be synced with Salesforce with one tap. Veloxy shows the Task dashboard on the Home screen. Tapping on the task dashboard takes the user to the Tasks screen. Tasks page consists of two sections – the top section contains all open tasks and the bottom section contains all completed tasks. It is very easy to mark a task as completed – swipe the task to the left to mark it as completed. The information is synced up with Salesforce. Tapping on a task in the list opens up the details view.